Baseball is not all about runs batted in, strikeouts and stolen bases. The emphasis for the California Baptist University baseball team is on their achievement as a whole. The players do not attribute their successes this season to a specific player, but rather to each player’s efforts collectively. 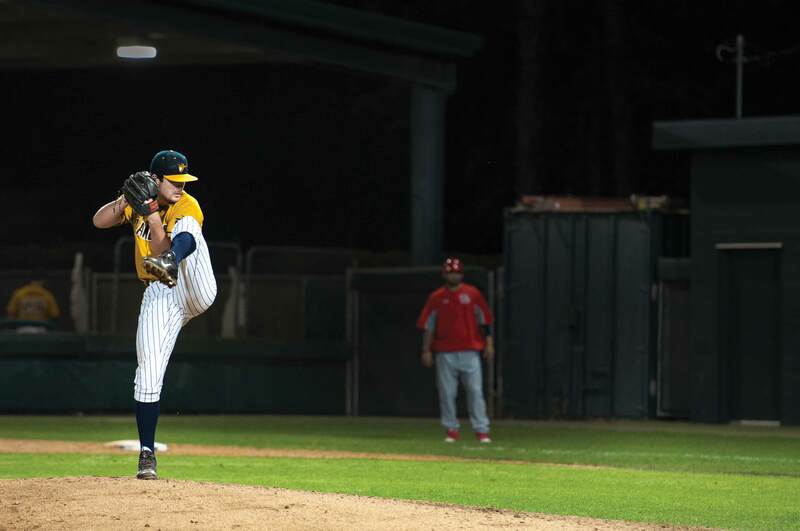 Trevor Oaks, junior business administration major and pitcher for the men’s baseball team, transferred from Biola University to CBU last fall and said he is pleased with his new Lancer Nation team. Even outside the diamond, the baseball players are a close-knit group. During Christmas time, the pitchers had a Christmas party with a white elephant gift exchange. Not only do the players hang out together, but they invest time in one another’s lives. Oaks and his two roommmates, who are also his teammates, Caleb Dirks, junior criminal justice major, and Nathan Antoun, junior kinesiology major, host a weekly Bible study at their apartment for the men on the team. “We try to bring everybody out and we make it to where people can be open and share their struggles in a judge-free environment,” Oaks said. “Baseball culture is hard, so it’s good to have the time,” he said. One player in attendance at the weekly Bible studies is Michael Fagan, junior business administration major and outfielder. Fagan attended CBU and played baseball his freshman and sophomore years, but did not attend the fall 2013 semester. However, he returned to both the school and team this semester. Fagan said he was slightly nervous about returning after his brief hiatus because of the transformed team. With senior players graduated and transfers and freshman already integrated into the team, Fagan was not sure how his return was going to be perceived by his new teammates. The players describe one another as more than just teammates, but friends and supporters. Not only do they take down opposing teams, throwing fastballs and batting doubles, but they engage in fellowship and invest in one another off the field.